The LightRail light mover trolley can be used in these three clever grow light system hacks. The LightRail light mover trolley has some pretty clever uses. And, the first to mention is the obvious grow light system use of moving a second indoor grow light. 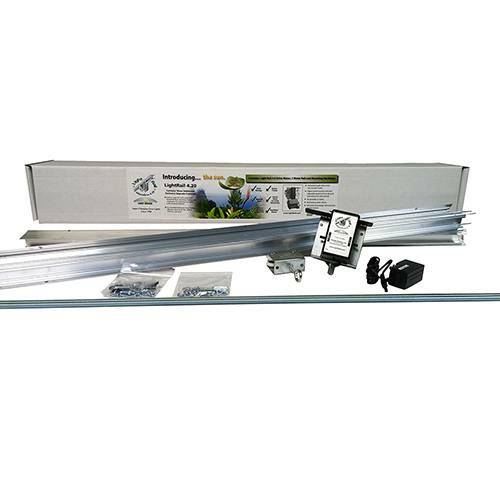 That indoor growing system is called an Add A Lamp Kit. See diagram below. And, that particular grow light setup has that second indoor grow light moving under the LightRail light mover trolley. The way that works is with the help of a push/pull rod. So, when our LightRail light mover motor goes in one direction, it pulls that second grow lamp, connected to the trolley, behind. And, when our motor goes in the other direction, it pushes that second grow lamp out ahead. 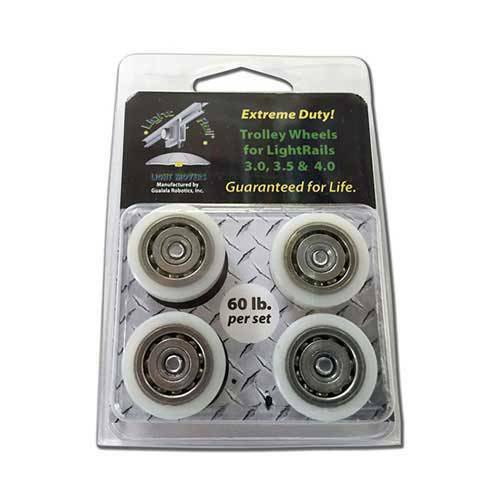 It is compatible with the LightRail 3.5 Kit and the LightRail 4.0 Kit. And, it is a part of the LightRail 4.20 Kit as a part of the Add A Lamp component. So, for this grow light system, the indoor grow light that travels under the LightRail light mover trolley does this. 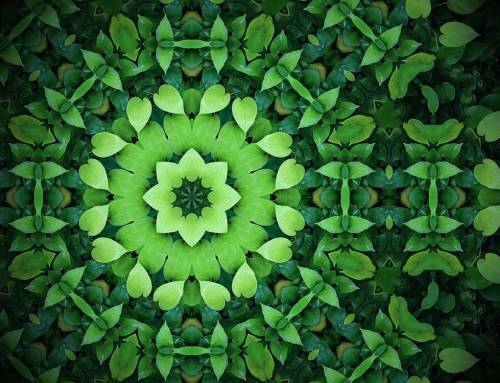 It mirrors the movement of the indoor grow light that travels under the LightRail motor. It’s pretty smart. And this grow light setup allows for up to three grow lamps to move with just one LightRail motor. But, how it works with two indoor grow lights is shown in the indoor growing system photo to the lower right. Just keep in mind, another Add A Lamp Kit could also be added for that third grow lamp. 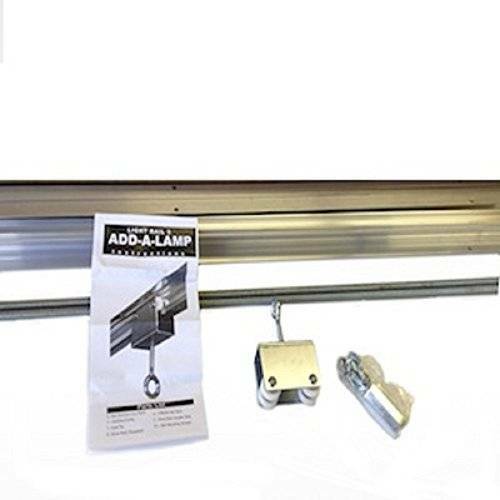 The LightRail light mover trolley is part of the Add A Lamp Kit. And, the Add A Lamp Kit is a brilliant way to move a second or third grow lamp, all with one motor. 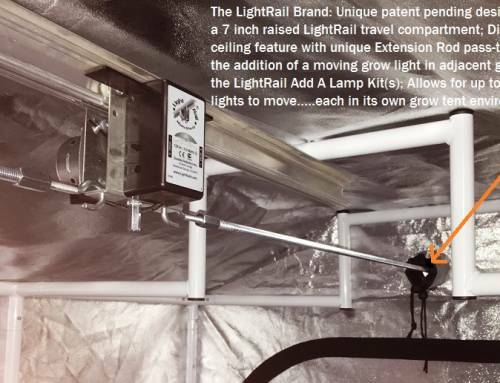 Another smart LightRail light mover trolley hack is to use the trolleys to festoon the ductwork of vented grow light hoods. We can simply tie a cord or Bungie around the reflector’s ductwork and then tie that onto the trolley. And, the grow light setup photo below shows how this works for one grow lamp. So, when the grow lamp goes in one direction along the light mover rail, it pulls the ductwork behind while it pushes the other ductwork out ahead. And, when the grow lamp gets to the end of its run, it reverses, and what was pushed is now pulled. 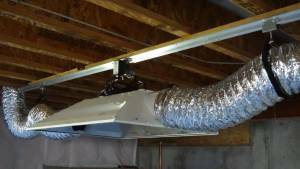 The ductwork has just enough solidness to make this grow light setup operation work perfectly. 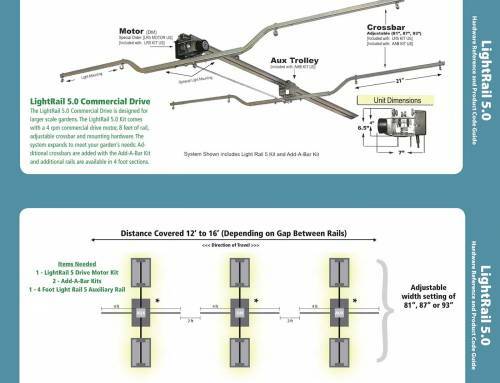 The LightRail light mover trolley can festoon the ductwork of vented hoods. So, as the light travels on the grow light mover, the ductwork moves out ahead or behind, in unison. So smart. For two indoor grow lights with ductwork, using an Add A Lamp Kit to move the second light, here is how that would look. We would use the trolleys on their own at both far ends of each run of two indoor grow lights. And because we would move the second grow lamp with an Add A Lamp Kit, our two indoor grow lights per line of lights will be moving in unison. So, this grow light system will work really well. And, for two indoor grow lights in unison, the ductwork would be connecting the two hoods in the middle. So, no trolley would be needed there. Then, on the first far side, we do not want the trolley to come between the motor and the switch stop stoppers on the light mover rail. And, that’s because those stoppers tell the motor to stop, pause and then reverse direction. So, we would have the first trolley that will be positioned somewhat near the motor. But, that would be positioned on the outside of the switch stop stopper. And, it would be positioned somewhere along the end of the light mover rail. We could use a screw near the outside of the light mover rail. Or, we could buy another set of the switch stops, and that’s just to make sure the trolley that’s holding the ductwork doesn’t go off the end. Or, we can use a screw that allows the auxiliary trolleys to pass by but not the LightRail Motor that carries the indoor grow light. For our second stopper, we would place that on the other side of the motor. Also, that will determine our grow light system travel distance. And, our Add A Lamp Kit, which comes with a trolley to hold our second indoor grow light, will mirror the movement of our first light. That will happen on its own light mover rail. So, because that first indoor grow light moves under the motor, we will not need any switch stop stoppers for that mirror movement of the Add A Lamp Kit. Then, beyond the Add A Lamp Kit and on the far side of the light mover rail, we would do this. We would put another trolley to festoon the last of the ductwork. And beyond that, we would put another screw or stopper just to make sure the ductwork doesn’t go off the end. Because everything moves in unison when we use the Add A Lamp Kit, this indoor growing system works really well. There is another very clever use for the LightRail light mover trolley and that is to use it as a cord keeper for our grow lamps. Or, it can keep the cords of multiple grow equipment items including each grow light mover cord. 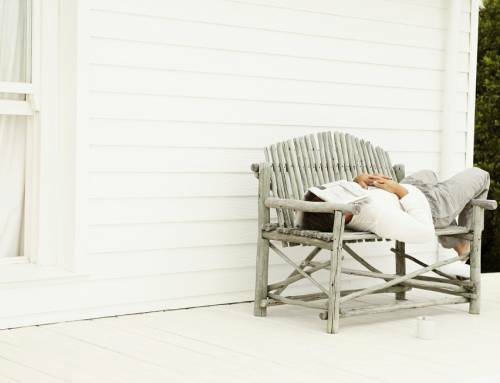 Of course, it’s best to have plenty of slack in those grow light mover cords. And, that can usually be best accomplished by having the electrical source come in from the side. That grow equipment electrical positioning would likely give enough slack for both directions of grow light mover travel. But, another option is to keep the cords all together with a trolley. And, that grow light setup advantage is that the cords are positioned up high and out of the way. Again, enough slack in the line is important. 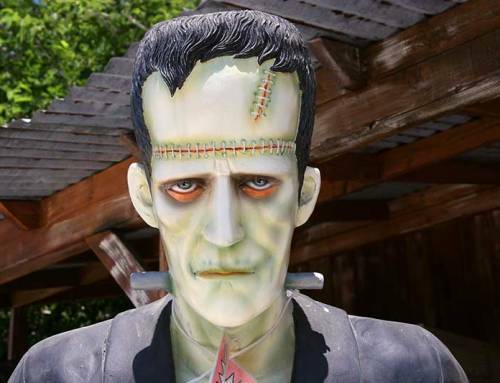 It’s an important grow equipment detail. And, extension cords might be needed for this particular indoor growing system setup. The LightRail light mover trolley has some pretty clever uses. 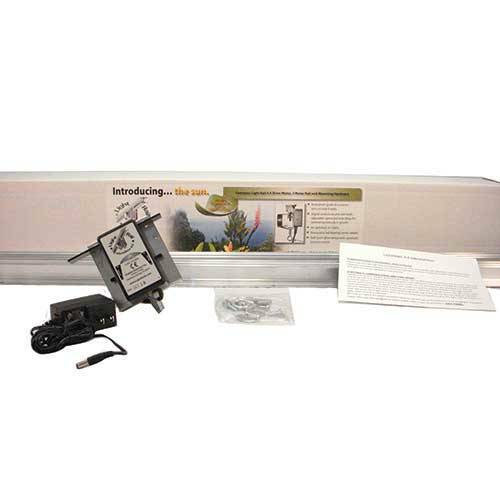 It’s simply one of the most versatile grow light mover items. And, it can be used with a variety of grow equipment components no matter the indoor growing system.